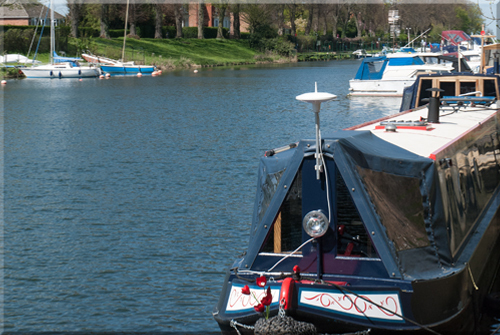 Welcome to Boston; a lively historic port and market town located on the River Witham, joining the North Sea at a part of the coast known as ‘The Wash’. 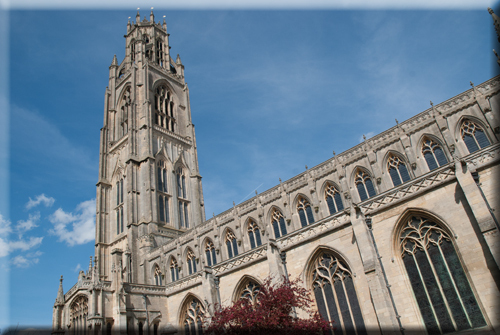 Boston and its magnificent church are named after St Botolph, an Anglo Saxon monk, who according to tradition visited the area in the 7th Century. Its position on the edge of the North Sea and its river connection with the city of Lincoln, allowed the town to develop as an important trading centre. In the early medieval period, only London was richer and more important than Boston as a port; Boston’s wealth was based on wool. During the time when wool was England’s main export, the town was sending three million fleeces a year abroad, making a significant profit. Boston’s medieval wealth can be seen from surviving buildings in the town; St Botolph’s Church (known locally as ‘The Stump’), St Mary’s Guildhall and the town’s stunning Market Place are just three examples. The large weekly markets each Wednesday and Saturday and its annual May Fair, are also legacies from the medieval period. As the value of wool declined, the town changed. By the 1700s, the agricultural revolution provided another economic boost. During this time, Boston supplied one third of London’s grain directly from granaries situated along the riverside. Once again, this wealth influenced the architecture of the town and many fine Georgian buildings still remain. Boston today is a diverse and vibrant town to explore and discover, with a range of quality national and independent shops, wonderful dining experiences and a unique history and heritage. Boston Stories are available here, translated into English, Polish, Latvian, Lithuanian and Portuguese. Boston was an extremely important and wealthy town and port in the medieval period with large, busy markets and internationally important fairs. Trade between Boston merchants and the Hanseatic League (from Germany, Scandinavia and the Baltic States) made the town second only to London in economic importance. Fortunes were made by merchants based mainly on their export of wool and import of timber and luxury goods including furs, wines, spices, glass, silk and dried fruits. These rare, exotic and expensive imports were sold at Boston’s fairs and markets attracting widespread attention. The Boston Fair began in 1125 and became one of the most popular in Europe. It was so important even Law Courts in London closed so their members could attend. During the Fair, a ‘Pie Powder’ Court existed to settle disputes immediately. If you were caught selling bad or underweight goods you could face punishment by being placed in the stocks and pelted with rotten vegetables or something less pleasant! In 1308, Boston was granted a charter for weekly Wednesday and Saturday markets which are still held today in the wonderfully striking medieval Market Place. The Boston Fair has now become an annual event called the ‘May Fair’; one of the largest in the East Midlands. 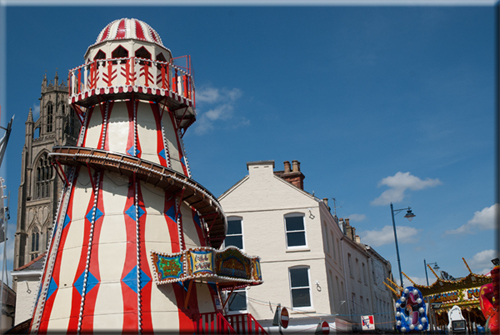 Boston’s weekly markets and annual funfair in its historic heart continues to maintain links to its medieval past. One night in the autumn of 1607, a passionate and determined group of men, women and children secretly met a boat on the edge of ‘The Wash’ at Scotia Creek, Fishtoft, near Boston. They planned to defy the authority of the English church and escape across the North Sea to Holland to live in religious freedom. They had walked 60 miles from Scrooby, near Gainsborough, and were hoping for a new life. They had arranged to travel with the captain of a ship; instead he betrayed them and the local militia seized the group and took their money, books and personal possessions. Stripped of their belongings and hope, the group were brought by boat back to Boston and imprisoned at the Guildhall, home to the local law court and cells. After a month, most were sent back “from whence they came”, but seven ringleaders were ordered to the higher Assizes court of Lincoln. Unfortunately no surviving evidence records whether they ever travelled to Lincoln. The following year the group made another attempt to escape England, leaving from Immingham, North Lincolnshire. This time they successfully reached Holland and lived briefly in Amsterdam before moving to Leiden. Perhaps most famously, 13 years after trying to escape from Boston, a group of these original men and women sailed back to England and then on to America. 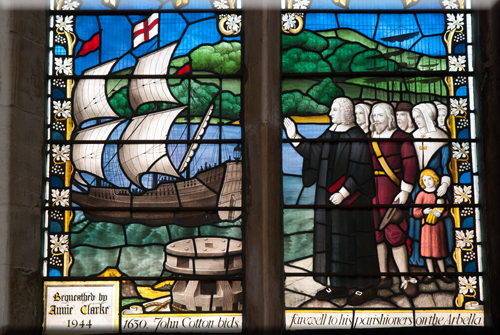 These ‘Pilgrims’ set sail on the Mayflower in 1620 for a completely new life in Plymouth, Massachusetts. In 1612, The Reverend John Cotton was appointed vicar at St Botolph’s Church. He was a passionate man of character who challenged the church with his beliefs and teachings. He wished to change the church from within and was known as a ‘Puritan’; seeking to remove (purify) practises from a recently reformed church. The Rev Cotton was hugely popular and people travelled long distances to hear his sermons which sometimes lasted five hours. He was however unpopular with the church authorities and was often in trouble with them for sharing his beliefs. Unable to change the church, he inspired members of his congregation to seek a new life in America. Between 1630 and 1634, about ten percent of Boston’s population left for a new life abroad, between 200 and 300 people. This group included many educated and powerful residents; a mayor, a lawyer, a headmaster and many others who helped shape the colony in America that they founded in 1630. Members of this newly established American congregation became Governors of the new city. The first American school, the Latin Free School, was based on Boston Grammar School; this school would eventually evolve into Harvard University. And the name of this new city? Boston, in honour of the town they had known, loved and left behind. 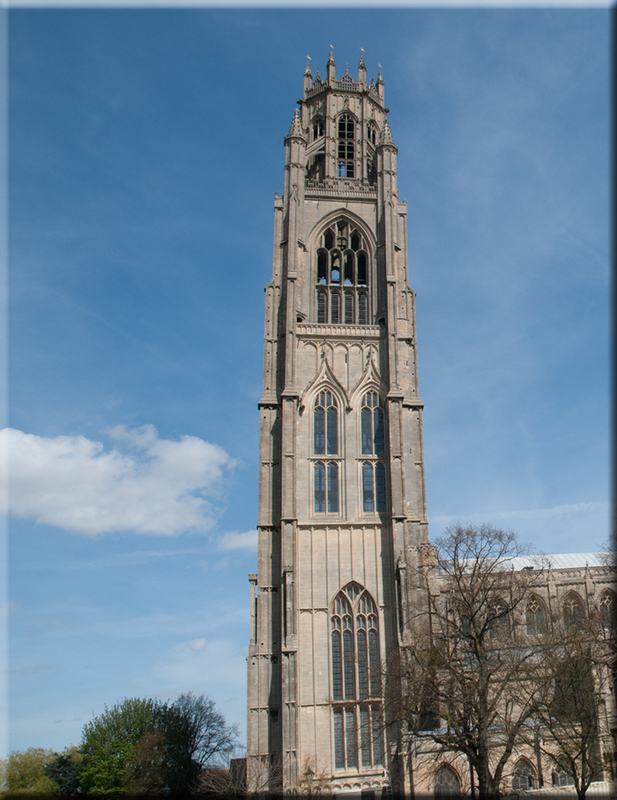 The magnificent and awe inspiring St Botolph’s Church (known affectionately as “The Stump”) dates from 1309. It is one of the largest parish churches in England and its tower, one of the highest of any in the country, is 272ft tall (82.9m). The church was complete by 1390, except for its tower which was started some 40 years later and not finished until 1520. The church is named after an Anglo Saxon monk, St Botolph who, according to tradition, visited the area and established a monastery in the 7th Century. 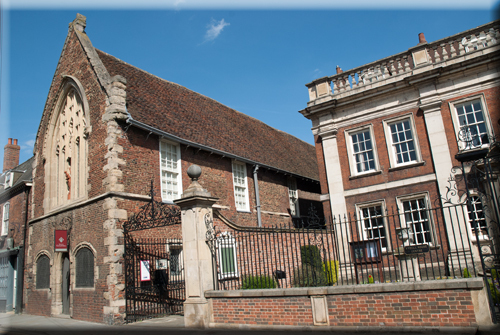 St Botolph’s is built on the site of an earlier and smaller Norman church, the remains of which were found during Victorian restoration work. Its grandeur is a legacy from the medieval period when Boston was incredibly wealthy thanks to its export trade of wool, making vast fortunes for local merchants. The building is as impressive inside as it is outside and the size and scale of the nave and tower from within is breathtaking. Other highlights include 14th century wooden carvings, a collection of high status tombs, stained glass, the ancient parish library and the Cotton Chapel, named after its most famous vicar who, in the 1630s, inspired residents of the town to leave for America; they went on to found Boston, Massachusetts. The church remains a landmark of the town and continues to dominate the landscape for miles around. On a tidal river, close to sea and surrounded by marshland, Boston has always had a watery connection. The town developed around a fording point where the coastal road around the Wash crossed the River Witham. It soon grew as a port town eventually becoming wealthy as a result of trade and opportunities presented by the water. The port developed in the medieval period and by the late 1200s, three million sheep fleeces were being exported every year. Timber and luxury goods such as silks, furs, wine and dried fruits were brought back and sold in Boston’s famous markets and fairs. Maritime trade with the Hanseatic League of Germany, Lowland Europe and the Baltic States brought great wealth to the town. Wildfowling, fishing and summer grazing for cattle in the waterlogged fens was a way of life around Boston. The drainage and enclosure of the fens brought control of the water and led to a new age of agriculture that made the town prosperous again in the late 1700s. The building of dykes, drains and sluices to control the water have also helped to define the modern countryside and townscape. In particular, the Grand Sluice and Black Sluice are examples of innovative Georgian engineering solutions separating the tidal Haven from the inland waterways.